Medium/Large Stay On Needle Puller by Dritz-LoRan. 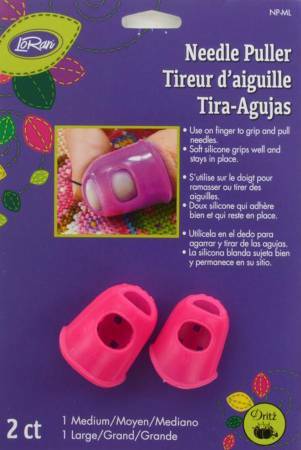 Use on finger to grip and pull needles. Soft silicone grips well and stays in place. This package contains two needle pullers in two different sizes. Medium and Large.